There are still some big question marks. It’s looking like a platoon of Ryan Raburn and Ramon Santiago at second, which doesn’t do us a ton of favors at the plate. With the diminished defensive range and crInge worthy batting of the once-exceptional Brandon Inge, the Miguel Cabrera return-to-third experiment will be interesting and hopefully not embarrassing. Danny Worth and Don Kelly will probably spot start there as well. 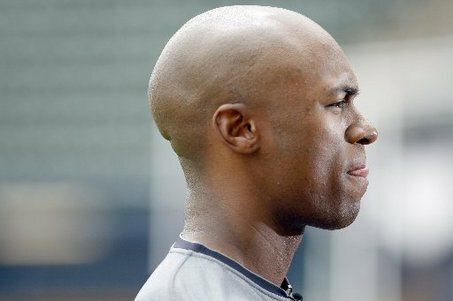 Finally, can Austin Jackson achieve leadoff effectiveness even approaching two years ago? Speaking of which, I am very nervous about the Kansas City Royals. They were rated the 11th best team in the league in the ESPN prospects power rankings (I don’t know if this is a remotely useful metric, but Buster Olney seems like a smart guy). At the game with my dad September First we were sitting along the third base line, and during a lull in the game Royals third baseman Mike Moustakas was shooting the bull with the umpire and throwing the ball around. He was basically standing in the coache’s box, well behind third and in foul territory, and dude scooped up lazy grounder that came his way. Barely breaking eye-contact with the ump, he made a throw off his back foot that looked casual as hell, but judging by the angry snap of the leather Eric Hosmer’s glove at first, it could’ve been shot from a rifle. The lineup is getting spooky over there. It’s foolish to make predictions about what’s going to happen, and we’re still forty four days till opening. Naturally when things don’t go your way for a couple of decades, you begin to doubt that anything good is going to happen. But the Tigs lately have provided all one can demand of any team, and that’s meaningful baseball in August and September. It will be really interesting to see what this team does in the face of injuries, statistical regression, and the rigors of the season.